This photo provided by Mattel, Inc. shows the new Steam Team appearing in the 2018 series of "Thomas and Friends: Big World! Big Adventures!" Formerly six boys and one girl, the new team will have three girls and four boys. 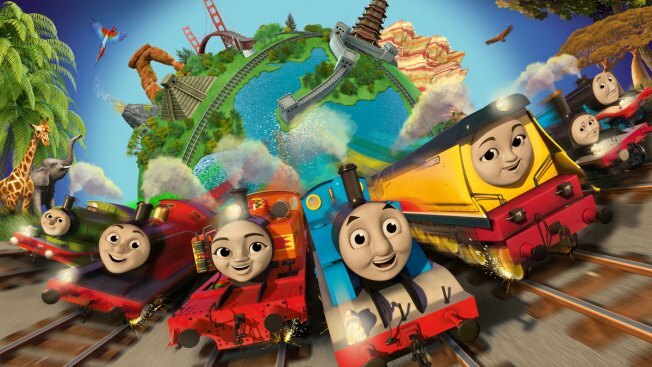 Girls are finally getting a bigger role in Thomas the Tank Engine's boy-dominated world. Mattel will add two female main characters to the "Thomas & Friends" TV series next year. Nia and Rebecca will appear in each episode and help fix the gender imbalance at the shed where Thomas and the other main characters live. Three of the seven engines at Tidmouth Sheds will be female, up from just one.